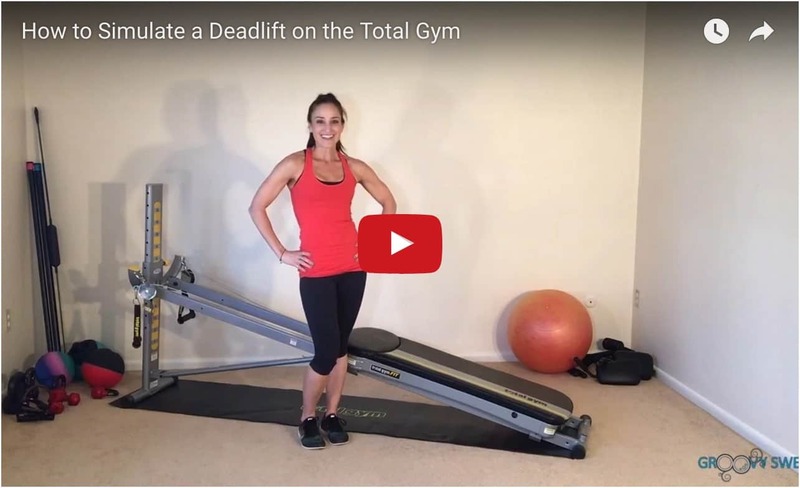 An excellent question was asked from our Total Gym Community about how to simulate dead lifts on the Total Gym. This is such a great question because there are different ways to accomplish this utilizing the equipment! So, here is a special blog post focused on addressing a specific strength exercise that you can creatively perform at home. Welcome to deadlift 101! The Total Gym can accommodate almost every exercise by simulating the movement or muscle action. A specific movement can be mimicked or created to work a certain muscle group. This is accomplished by first understanding what muscle group you want to work and what movement will accomplish it. The deadlift exercise alone can be performed in many different ways depending on your goal. It may be performed with heavy weights or an Olympic bar, with other weighted fitness tools, varied foot positions, single/ double leg stance, on a balance prop, or with only bodyweight on a single leg. When simulating the deadlift on the TG equipment, you have to be a bit creative. I have a few options you can try. Again, it depends on your training goals and how much weight you want to lift. Here are some great examples you can add into your routine that simulate the standing ‘deadlift’ exercise. The deadlift works the backside of the body such as the hamstrings, glutes, lower back, postural muscles of the core, and the calves. Bend your knees and toes in the same direction as the knees. The spine and torso remain extended straight with shoulders back, core engaged and back flat throughout the entire varied range of motion. This variation challenges core balance, ankle stability, and functional leg strength. 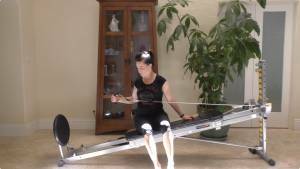 Utilizing the Total Gym for this exercise is perfect to develop balance, functional range of motion, and the glide board helps assist with the motion. This type of movement can only be accomplished with the Total Gym! So that’s pretty special! Place the incline on a low to medium level. The higher the incline, the more the strength and flexibility challenge. A low incline is still difficult. Utilize external weight for a resistance challenge. Stand facing away from the tower at the bottom base of the Total Gym. Place 1 foot on the glide board and the other on the floor. Balance on the standing leg carefully. Keep the standing leg slightly bent, the leg on the glide board straight, and the torso is straight at all times throughout the motion. Bend your knees as the glide board leg presses up the rails. Ideally, your body will form the letter “T”. 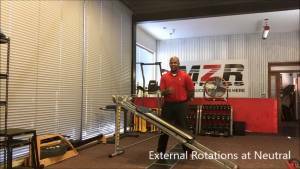 Utilize the incline of the glide board for balance, resistance and a unique variation you can only perform on a Total Gym! This option is more of a bodyweight movement that simulates the muscle action of a deadlift, but instead of ‘pulling’ your body & resistance up, you will be ‘pushing’ the glide board to feel the hamstrings lengthen and strengthen. 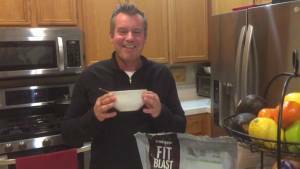 This is an option that adds variety to a typical routine. Place the incline on a high level. Facing the tower, straddle the feet around the base of the glide board and place the hands on top. Where the hands are placed on the glide board determine the amount of flexibility and resistance demands. Bend at the hips to push the GB up the rails while keeping the torso and legs straight. The body will form a “V”. Place extra resistance on top of the GB for an extra challenge, however, it’s not necessary in order to feel the hamstrings lengthen. Continue for desired amount of reps. If you want to develop muscle and strength simultaneously, then this is an excellent exercise to try. It’s challenging as well as effective to train the posterior chain of the body. Place the incline on a medium to high level. The higher the incline, the harder the challenge. Bend the opposite leg and use it for stability while the working leg moves. Hold onto the bottom of the glide board to remain in position as you perform the movement. Keeping the cable leg straight, allow it to lift towards your head (as much as your flexibility allows) and then press it straight away from you. Move slowly with precision to feel the benefits of the exercise. Repeat this motion for the desired amount of reps.
To exit this exercise, carefully grab the cable and hold on to it as you remove it from the foot. Roll to one side or straddle down to exit. Repeat the above steps on the other side. These are a few examples to help perform the deadlift exercise using your Total Gym. I do understand that some exercises are just all together better performing without using equipment, however, I hope you will explore these options and find the value in them! Keep your questions coming! It’s so important to learn and discuss certain topics. Not only is it motivating but also it’s also inspiring as a home gym community to help encourage a movement to get fitter and stronger together.